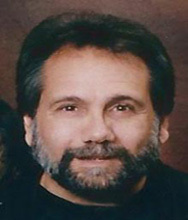 IACOBUCCI, THOMAS A. JR., 62, of Cranston, passed away quietly on Sunday, May 29, 2016 at home surrounded by his loving family. He fought a long and courageous battle with Multiple System Atrophy of the Cerebellum, never losing his witty sense of humor, even in his final days. He was faithfully cared for at home by his wife of 22 years, Elizabeth (Dias) Iacobucci and their four children, Timothy, Emily, Brendon, and Carissa Iacobucci. Tom was the son of Thomas A. Iacobucci, Sr. and the late Claire (DeChristopher) Iacobucci of Cranston. He leaves two brothers and sisters-in-law, Mark and Lisa Iacobucci and Steven and Cathy Iacobucci, 20 nieces and nephews, and numerous friends. Tom had a 37 year Career with Carl Weinberg & Co. of Warwick. He obtained a BSBA (1976) and Master of Science in Taxation (1990) from Bryant University, and obtained his CPA in 1980. He was a member of the RI Society of CPAs and the American Institute of CPAs. He was on the Executive Board of the RI Kidney Foundation, was Treasurer of Eden Park School, and coached girls soccer. Above all, Tom loved the simple things in life; movie and game nights with Liz and the kids; backyard barbecues with family and friends; fantasy baseball/football with his buddies; and of course, the Red Sox at Fenway! His life will be celebrated with calling hours Monday, June 6th 5:00-8:00 PM and Funeral Tuesday June 7th 9:00 AM at the Stapleton Family Funeral Home, 684 Park Avenue, Cranston, followed by a Mass of Christian Burial at 11:00 AM, St. Anthony Church, 1 Sunset Avenue, West Warwick.